Most accounts of the recent crisis focus on the symptoms and not the underlying causes of what went wrong. But those events, vivid though they remain in our memories, comprised only the latest in a long series of financial crises since our present system of commerce became the cornerstone of modern capitalism. Alchemy explains why, ultimately, this was and remains a crisis not of banking – even if we need to reform the banking system – nor of policy-making – even if mistakes were made – but of ideas. 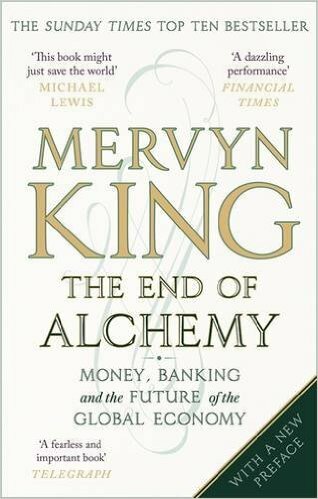 In this refreshing and vitally important book, former governor of the Bank of England Mervyn King – an actor in this drama – proposes revolutionary new concepts to answer the central question: are money and banking a form of Alchemy or are they the Achilles heel of a modern capitalist economy? Posted in Financial Crisis 2008, The Library by Paul Dixon on January 11th, 2017.